Yesterday, PM Modi, while addressing a rally in Odisha had also attacked the Congress, saying, "It isn’t easy to comprehend whether the grand old party was running the government or advocating on behalf of Christian Michel– the middleman accused in the VVIP chopper case." New Delhi: Intensifying attack on Congress and its president Rahul Gandhi, the Bharatiya Janata Party claimed that it was in possession of a letter allegedly written by middleman Christian Michel in the AgustaWestland VVIP chopper deal, which reveals the ‘saga of Rome and RaGa’. The ruling party also claimed that in the letter Michel had written that a Congress leader would talk to the then Finance minister if he created any further issues with the clearance of the deal. 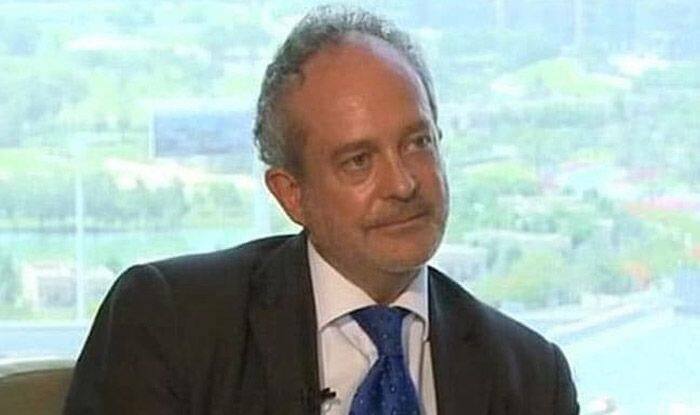 “Christian Michel had written thousands of letters in the form of dispatches that were sent despite he living in India. When he was in India as a ‘dalal’ and middleman, he used to write letters to AgustaWestland’s CEO. Our agencies have managed to procure some of these letters. We have accessed one such letter through the media. The letter will reveal the story behind the saga of Rome and RaGa,” BJP spokesperson Sambit Patra said, while addressing a press conference on Saturday. Patra, further claimed that Michel stressed that no publicity about the deal be done in Italy. “Can Rome be asked to cooperate? By any cost, by any cost, pressure must be built on Rome’s government to not create any publicity in Italy with regard to this. Not many people in Italy should be aware of this deal. Hurdles in the way of clearing the files have been removed,” the BJP spokesperson quoted Michel saying in the letter, dated July 31, 2009. Patra wondered why Michel did not want to publicise the deal in Italy after it was finalised. “So that the bribe givers are not harassed in Italy,” he reasoned. Patra alleged that Michel had even access to cabinet meetings. Michel was brought to India last year following his extradition by the UAE in connection with the case. Michel is one of the three middlemen being probed in the case, besides Guido Haschke and Carlo Gerosa, by the ED and the CBI. Both the agencies have notified an Interpol red corner notice (RCN) against him after the court issued a non-bailable warrant against him. However, he had denied the charges.